Nathan Barker, mill department manager for Sicom industries, hated scrapping an aluminum casting worth thousands of dollars because a chip lodged in the back of his traditional back spotfacing tool gouged the casting's intricate interior. Sicom Industries, a contract toolroom and machine shop with locations in Vancouver and Houston, Texas, works in the oil and gas, aerospace, and mining sectors, but aluminum castings for the defense industry are its bread and butter. Accourding to Barker, these castings are expensive and complex, with up to 40 internal cavities that make it hard to manually load the head of the conventional-style back spotface tool. Producing off-spec parts can damage a shop's reputation, as well as waste production time and labor. Barker needed automated back spotfacing to speed production time, free manual labour for different machines in the shop, and most important operate with the precision Sicom's clients demanded. "We don't have our own products; we're at the mercy of whoever's giving us work," Barker said. Through online research and matalworking catalogues, Barker found HEULE Tool's BSF (Back Spotfacer), an automatic back sppotfacing tool that retracts the boring blade by coolant pressure. 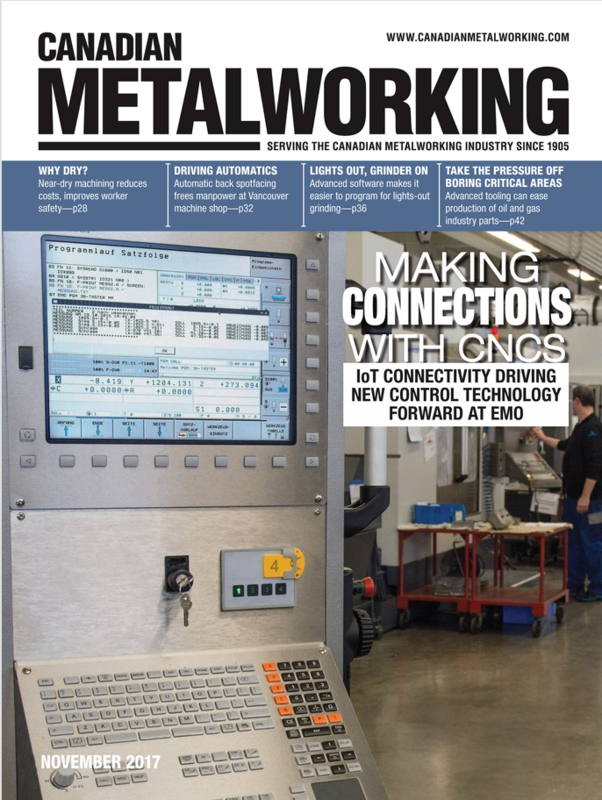 READ MORE of the CANADIAN METALWORKING article.